The National Youth Service Corps (NYSC) has reacted to the controversy of a forged certificate of exemption allegedly used by the Minister of Finance, Mrs Kemi Adeosun. In a statement by its Director of Press and Public Relations, Mrs Adeyemi Adenike, NYSC confirmed that the minister indeed applied for an exemption certificate. It said it would investigate the source of the purported forged certificate. The statement read, “Our attention has been drawn to the issue of the alleged forgery of an NYSC Exemption Certificate by the Honorable Minister of Finance, Mrs Kemi Adeosun. “Checking our records, Mrs Adeosun did apply for an Exemption Certificate. 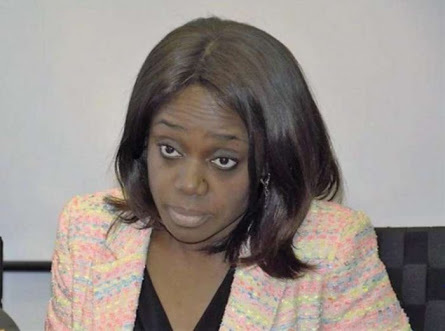 A recent report by Premium Times had claimed that Mrs Adeosun failed to participate in the mandatory National Service even when she graduated at 22 years of age. She was reported to have acquired a dubious exemption letter which has prompted strong backlash. However, the minister has yet to respond to the allegations.